Legg-Calvé-Perthes disease (LCPD) is an idiopathic form of avascular necrosis of the immature proximal femoral epiphysis. As it occurs in the growing skeleton, there are peculiarities that distinguish it from the adult type of avascular necrosis of the femoral head. It is important to keep in mind that this epiphysis bears a substantial remodeling potential in skeletally immature patients, which can correct architectural changes caused by ischemia; the younger the patient, the greater is this ability. Nevertheless, abnormal epiphyseal development and deformation of the femoral head do occur in cases of poor evolution, and the cascade of phenomena that occur after bone necrosis is paralleled by the evolution of imaging findings. 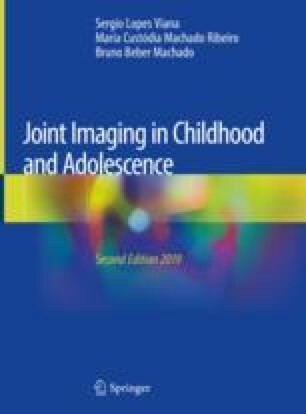 This chapter provides an overview of the role of imaging in the assessment of LCPD.